Khan Academy Math is a section in the famous non-profit educational organization Khan Academy. This section is filled with simple math to advance calculus exercises and learning material. In the Khan Academy Math section, there is a sub section named “Early Math” where a series of interactive math exercises are provided. https://www.khanacademy.org/math/early-math. These exercises are better covered in two very effective and usable Apps. 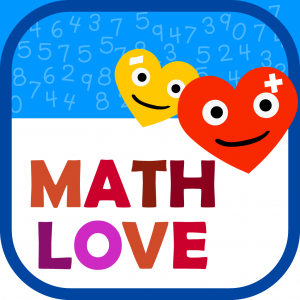 Math Love is an addition and subtraction activity app whereas Cool Math is a fun activity app that provides more of a math puzzle interface. The Khan Academy Math is undoubtedly providing very exciting exercises however there is a list of benefits of these two apps over Khan Academy Math users. • One (no distraction) screen to focus (Whereas Khan Academy Math loads in a browser with multiple distractions. • The apps are providing many controls to adjust the generated questions to suite various requirements. • Questions are generated non-stop, without interruption or expecting any user input. • The difficulty level can be made fixed. • Drag and drop scenario are meditating for kids and they keep their interest in practicing math. • Simple yet challenging questions and gradually increase the difficulty level. • The app’s interface is user friendly and attractive. • Animated Interface with Studio quality voice over involves students in practice. When it comes to mouse and keyboard, there is an adequate patience required to use Khan Academy Math section. Khan Academy Math section mixes the exercises among various age groups. A kid practicing simple math often presented to calculate an area of a geometrical object. It is very good for grown up kids but terrible for younger ones. We all love Khan Academy and its wonderful contribution however we invite you to download Free and check these two apps as well. The best thing about Khan Academy Math is that it’s absolutely Free whereas these two apps are shareware and contains ads. (If you like the app, buy the app). Cost is one time and low too. Being on a browser provides Khan academy a very big advantage, Multi-platform. Whereas both of these apps are available on iOS only and under development for Google Play Store. There is no sooner plans either to make them available for Desktops or Web platforms. If you already are a regular user of Khan Academy Math, you’d immediately notice the biggest difference in the user experience. 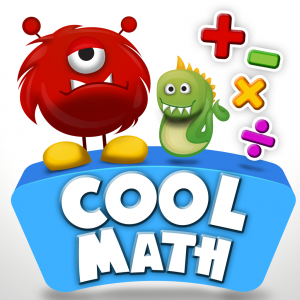 Specially if you are having kids and wanted to leverage their math skills to the next level.